Spiros Konstantakos was born on 3rd of November in 1980 in Karditsa, Greece. He graduated in 2003 from the department of International and European Studies in the Panteion University of Social and Political Sciences in Athens and he received his Master degree in Human Geography at the University of Amsterdam, writing his thesis upon 'participatory governance' in the shanty towns in Lima, Peru. Since 2005, he has experienced volunteer work in NGOs in the Netherlands, Peru and Indonesia. Since 2008, he has been working in the field of humanitarian logistics with international humanitarian organizations around the globe. 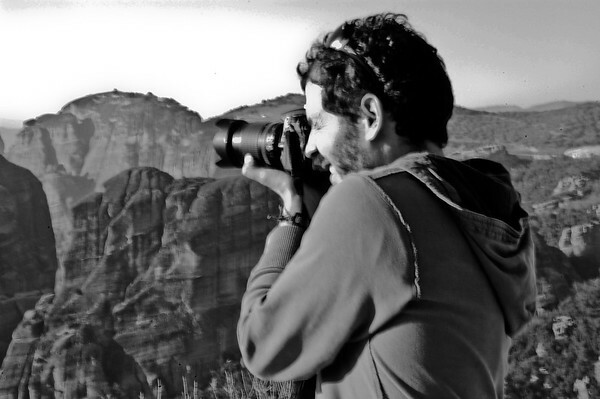 Spiros is a self-taught freelance photographer and his passion for humanitarian work, history and civilizations leads him to produce photo-travel stories portraying our amazing world.